Sitting in the right classroom at the right time of day, it is likely that every Northsider has heard the sounds of an intense game of four square being played outside. It is a game no longer limited to the back lots of elementary schools and has become an integral part of Northside culture over the past few years. A game that was once defined by naive, childish comradery has turned into a vicious sport with each player fighting to be king of the square. The sport has produced an array of notable players such as Jack Newhall, Adv. 004, Abdi Lawrence, Adv. 909, and Emilia Chojnacki, Adv. 904, who have developed celebrity-like status due to their talent. These students are among the most highly ranked in Northside’s MLFS (Major League Four Square) and are crowd favorites. “It’s taken a lot of games and after school tournaments to get where I am today,” says Chojnacki. Though four square is beloved and favored among many students, recent news broke out about a secretive four square betting circle lead by none other than milk-carton-wielding security guard,, Manny Campoverde. Administration was “appalled and disconcerted” to find Campoverde and a small circle of Northside’s students meeting by the recently constructed Elephants with Riders display last week. The punters were trading some of Northside’s finest imports of oranges and milk cartons amongst each other. Upon further investigation, administration found illegally imported Craisins from nearby institutions such as Von Steuben and Mather being used as well. The individuals would bet on which player they believed would stay king the longest, with the winner taking the whole loot of varied produce. 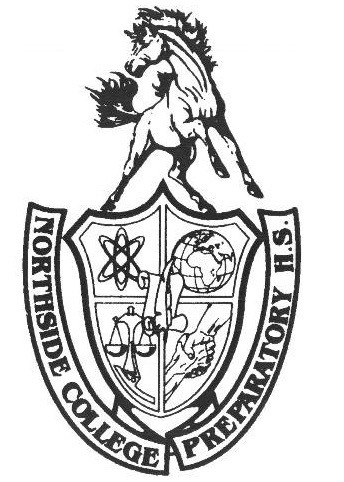 After dismantling the betting ring, administration came to the difficult decision to ban four square from Northside’s campus. Anyone found participating in the game will be forced to write “Scholars over ballers,” one thousand times on a whiteboard in front of Mr. Smith.